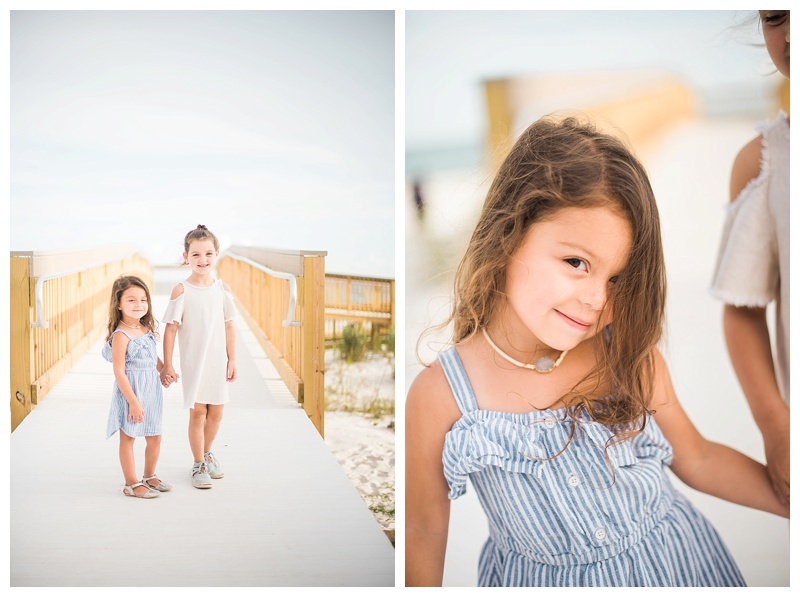 We had the best time on our last minute trip to Ft. Walton Beach, Florida! Literally last minute. James and I were laying in bed after our July 4th party and decided to book our Florida trip for 2 days later! We found what I thought was a too good to be true new and modern hotel called Hilton Garden Inn Ft. Walton Beach. I wish I actually got photos of the hotel room and the pool because it was seriously AMAZING! We can't wait to go back and bring some family and friends with us. We took some photos our first evening there so I wanted to share! Hoping to photograph some others the next time we are there. Thankful my two girls are always ready to pose for me.